Stoke Gabriel is a pretty village where the cottages tumble down a hill that overlooks the picturesque Dart estuary in South Devon and is surrounded by some truly beautiful countryside. Crab Cottage is tucked away at the bottom of the hill just a few steps from the water and the Mill Pool, formed when the creek was dammed to create a permanent tree fringed pool. 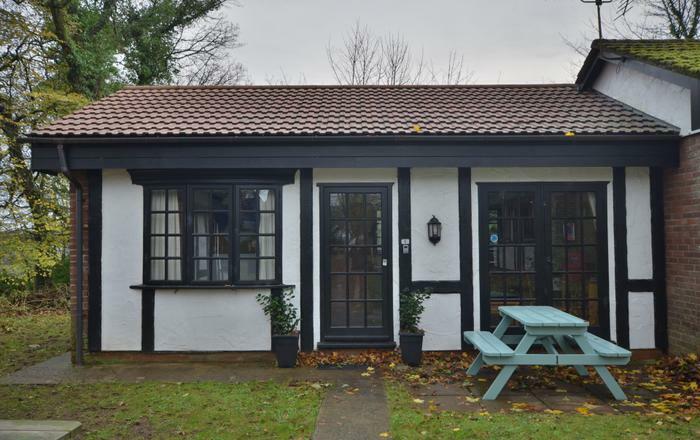 This delightful cottage is sympathetically converted with a comfortably furnished living room, surrounding a woodburner effect gas stove, which provides a welcome and cosy focus during those chilly spring and autumn evenings. 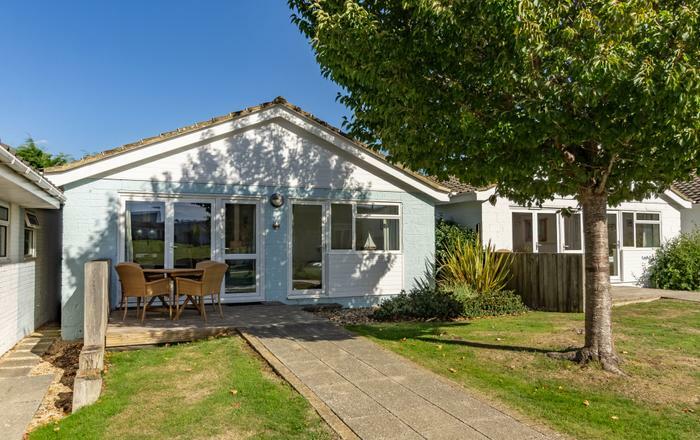 The village epitomises everything that is good about a Devon hamlet with a thriving local community, two pubs, a convenience store, Post Office and quayside café/bar. 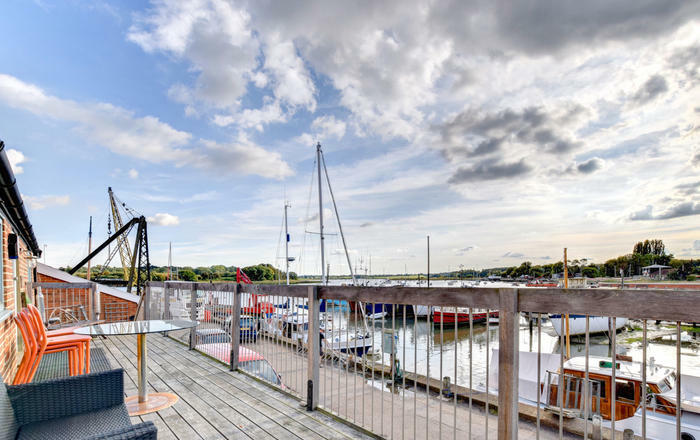 Children will love this place and hours can be spent in the traditional pastimes of crabbing or messing about on the water and as the cottage has plenty of parking space it allows guests to bring their own small boat or dinghy which can be launched from the nearby slipway. There is extensive wildlife in the area for animal lovers with the egrets and otters and if you are lucky you might even spot a seal. 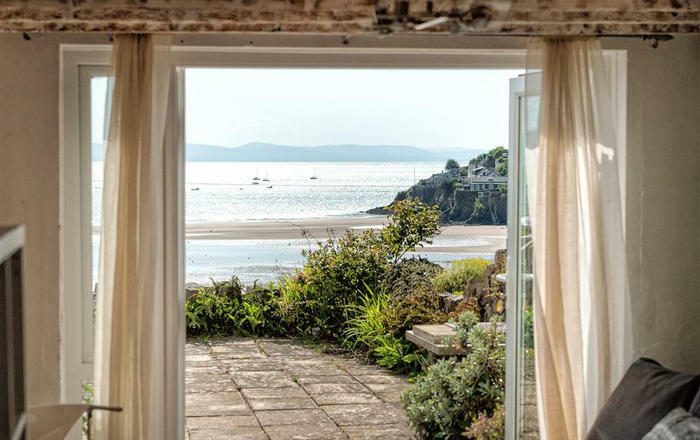 For adults there are plenty of beautiful walks, Agatha Christie's country house, Greenway, now owned by the National Trust, is close by, a river trip down to Dartmouth or up to Totnes is a must and the English Riviera is just a few miles away. Have been so lucky this week. 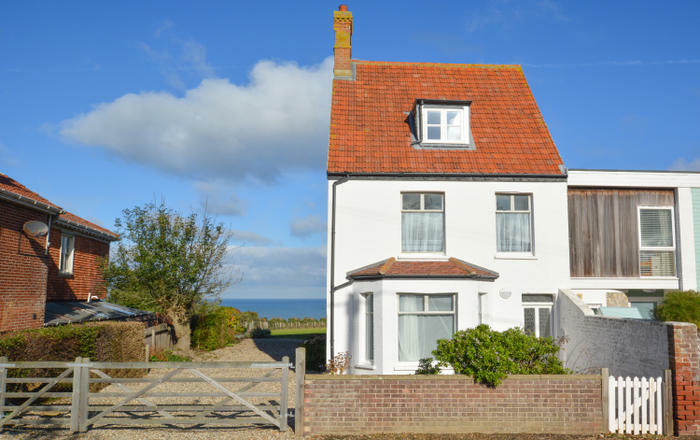 A comfortable well appointed cottage with wonderful views and good weather. Will go home refreshed. Ann and Robin Shert. Crab cottage is wonderful! We've had a lovely holiday. The cottage proved a perfect base from which to take our dinghy onto the Dart every day. Rachel and Richard. Front door to living room with natural slate floor and dining area with table and chairs overlooking the lane with views of the Mill Pool. Lounge area with large sofa, Poang chair and coffee table surrounding the gas stove fire. Flat screen TV with Sky digital, DVD and radio/CD. Kitchen with ceramic hob, oven under and dishwasher. Washer/dryer, fridge/freezer and microwave in utility alcove. Stairs from living room to landing and double bedroom, which has views of the Mill Pool, a 4ft 6in double bed, fitted wardrobe and dressing table. Twin bedroom with two 3ft single beds. 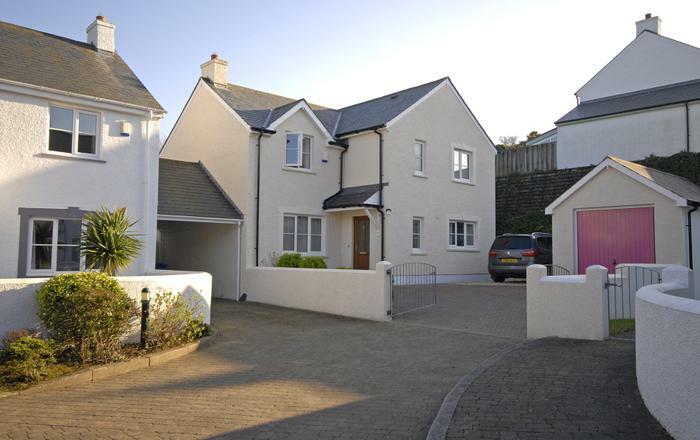 Spacious family bathroom with bath, shower over, hand basin, WC, heated towel rail and shaver point. 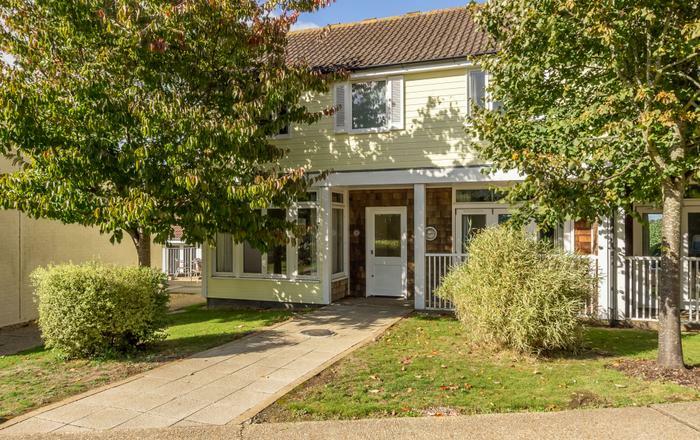 Steps from rear door lead up to a small private garden area with picnic table and benches. Parking: Designated parking place for two cars, with further space for a medium sized boat/trailer, (max 18ft). Included: Bed linen (no towels), WiFi, high chair and stair gate, central heating (gas) and electricity. Telephone: Incoming calls only. Mobile reception poor. Local Facilities: Beaches from 4 miles. Shops and pubs a few minute's walk in the village. 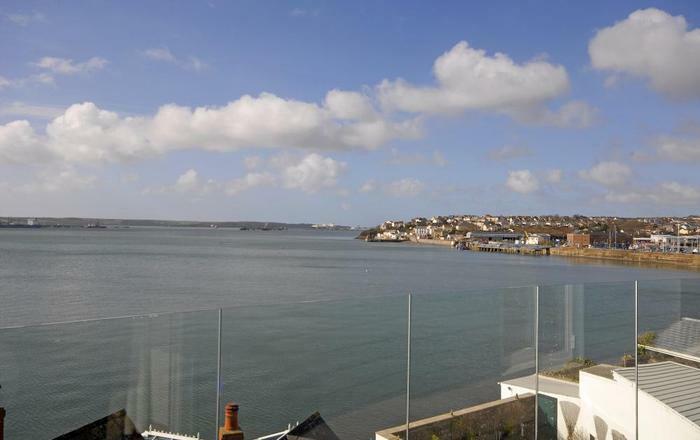 Paignton with supermarkets, shops and restaurants and Goodrington Sands 5 miles. Totnes 4.5 miles.